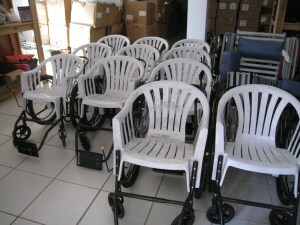 First Choice Physical Therapy: Would you like to help us, help Haiti? Would you like to help us, help Haiti? It all started with Scott Champagne asking Wade Rinehart to come and assist in a collaborative effort to help Haiti after the earthquake. Wade could not turn his friend’s offer down and went to help out, in what he thought would be a one time trip. What started out as an “one time trip” has grown into a continued ministry. Scott and Wade are preparing for their 6th trip to Haiti to continue work they had previously started. There is a small clinic in Jacmel Haiti that has grown from a ragged dirt floored tent into a full blown Physical Therapy building with two surgical suites for Orthopedic Surgeons. God has placed it in their hearts to do this work so keep them in your prayers. Scott has gone to www.GoFundMe.com and established a way for our friends to spread the word about the Haiti clinic and to make donations. The clinic knows how to make good use of their limited funds to help their patients. Look at those wheelchairs! If you have it in your heart to help, then please go tohttp://www.gofundme.com/Physical-Therapy-in-Haiti or just share this message with your own friends.